Our first wedding photography experience at the absolutely stunning the Holy Trinity Church, Wentworth in South Yorkshire. This is an amazing church interior and more closely resembles that of a cathedral than a parish church. We have some wonderful architecture in Great Britain and so often we miss out on seeing it which is a massive shame. Being in the fortunate position of being wedding photographers we often get to see some of these wonderful building close up and personal and as lovers of architecture it is a real privilege. 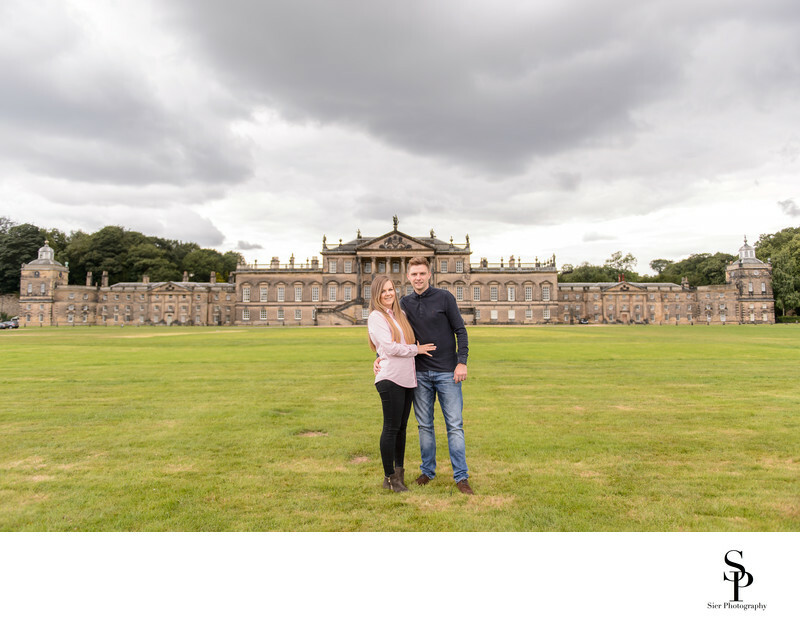 As this wedding was to be at Wentworth church, our bride and groom had arranged to have their pre-wedding photoshoot at the magnificent Wentworth Woodhouse which is just a stones' throw away from the church. This magnificent Grade I listed statley home has the most amazing facade which is longer than the front of Buckingham Palace and is intact the longest facade of any residential property in the UK. While it is sometimes exciting to dream of living in a huge house the mind boggling thought of trying to maintain, run and heat a building like this is brain melting stuff! We are lucky that we can visit and soak up the atmosphere and even more lucky to go home to a more manageable property. 1/320; f/2.8; ISO 1400; 24.0 mm.